London Beauty Clinic enters the Twighlight Zone. With the craze for the Vampire Diaries came the introduction of a new facial therapy in top beauty clinics in London – the vampire facial. To give it a more scientific name it is treatment using Platelet Rich Plasma (PRP). Which involves taking a small amount of blood from your arm – a couple of dessert spoons is usually enough. Spinning it in a centrifuge to separate the plasma which is the fluid part of the blood from the red and white blood cells. 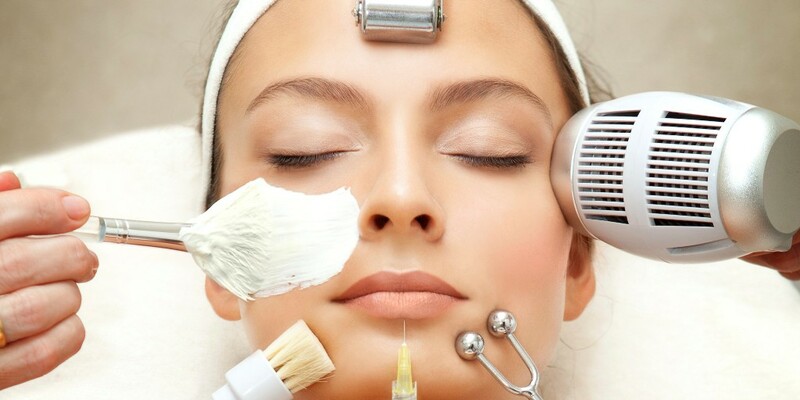 The concentrated plasma which is rich in growth factors is then injected into the face. These proteins help heal injured tissue and damaged skin by stimulating surrounding cells near the injection site. Allowing them to proliferate. One of the key cells, fibroblast, is the one which creates collagen which gives skin its youthful appearance. Unfortunately as we age, less and less collagen is produced causing wrinkles and fine lines to appear on your skin. Some practitioners in beauty clinics around central London may combine it with dermal fillers. To plump up problem areas like the delicate area under the eye. Tennis ace Rafael Nadal is among many athletes who are thought to have used the treatment which has been around for more than 20 years. As PRP accelerates the healing of wounds and burnt skin. As you might expect from someone rarely out of the headlines. Kim Kardashian is a fan but so too are many British actresses including Anna Friel. According to reports of the latest trends in beauty clinics around London. Shenaz Shariff a health and well-being expert who runs the Face and Body Clinic in London says ‘PRP can be used on the face around the eyes, mouth, nose, the décolletage and even the backs of your hands. It can take a few weeks to see the full effect of the treatment. But it will last up to a year maybe with a couple of top up treatments in between’. There is minimal downtime although some patients may experience bruising, swelling or redness near the injection site. But this should go within a few days and to avoid infection no make-up or cream should be used for 8 hours after the PRP . A popular alternative to the vampire therapy is the very successful Hialurox anti-ageing facial. Which is available at a highly respected London beauty clinic run by Shenaz Shariff. Actress Tamzin Outhwaite is a delighted convert to the facial and admits. ‘After just one treatment I noticed a visible reduction in the appearance of fine lines around my eyes and mouth. What makes this facial even more special for me is that it is completely relaxing. I felt confident putting myself in Shenaz’s hands knowing what she was doing really would work’. Hyaluronic acid which exists naturally in all of us. Encourages the hydration of the epidermis which is the surface layer of skin cell. However the amount we produce diminishes with age and that means we lose the firm texture to our skin. Shenaz’s relaxing London beauty clinic enables clients looking for a non-surgical procedure to get fantastic results to leave you looking younger for longer. It will require multiple treatments over the course of a few months to enable the body to complete the restoration process but you will see a distinct change after the first day. Shenaz and her team are happy to offer information and advice about this and other treatments available at her beauty clinic in London, which could be used in conjunction with the facial. This entry was posted in London Beauty Clinic enters the Twighlight Zone and tagged London Beauty Clinic enters the Twighlight Zone on July 29, 2016 by Shenaz Sheriff. How many times have you see Hollywood A-listers with that permanently surprised look on their face after too much plastic surgery? They may have got rid of the wrinkles and the bags under their eyes. Their skin looks anything but natural up close and the more surgery they have, the worse it’s going to get. But it is possible to get rid of sagging skin around the jaw-line without resorting to debilitating general anaesthetics and the bruising after effects of surgery. The Face and Body Clinic in central London was chosen exclusively to use this new Tripollar technology. Which has had fantastic results in non-surgical jowl lifts . No matter how much you try and diet or exercise. There are just some areas of the face – particularly around the jaw-line and neck that need a little extra helping hand whether you are male or female. The machine which is used to carry out the non-surgical jowl lifts is pain free. It works by heating fibroplasts which produce collagen and elastin. 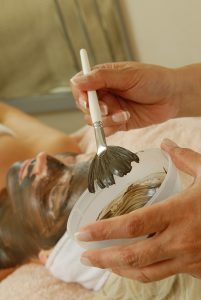 As they heat they contract and collagen strands are pulled closer having the immediate effect of tightening the skin. At the same time fat cells are heated which accelerates the metabolism causing them to shrink. Giving tighter, younger looking, remodelled skin. Shenaz admits: ‘I get a lot of people who come to me because they are sick of the broken promises of over the counter anti-ageing creams that cost a fortune but don’t actually work. Understandably they are scared to have general anaesthetics, invasive surgery and harsh chemical treatments. ‘That is why I believe this non-surgical jowl lift which I can do at my Harley Street clinic is the ideal anti-ageing alternative. It works and gives my clients a natural looking younger skin’. And if you like the non-surgical jowl lift, the therapy can be extended to help eliminate deep lines and wrinkles and give a total refined, youthful facial structure. Dancer Chris Fedorov has spent a lifetime keeping his body in shape but once he was the wrong side of 40 he admits. The same couldn’t be said for his face. ‘To keep on dancing you often have to compete against people half your age. For me plastic surgery wasn’t the answer because I wanted a less invasive and more subtle approach. And that’s exactly what I got with the help of Shenaz and her team who worked out a wonderful package of non-surgical treatments that were ideally tailored to my needs’. Shenaz admits: ‘My clients have been so delighted by the effects of the non-surgical jowl lift. That they’ve wanted to enhance their faces even further and radiofrequency therapy enables very delicate areas of the face to be treated. Around the eyes and lips – without causing any pain or damage. ‘Non-surgical procedures like this are perfect for busy professionals of both sexes. Or for anyone who wants to get back a more sculpted look. That age is always going to try and take away from us’. Shenaz can be contacted at The Face and Body Clinic in central London and offers consultations to clients. To ensure that they are embarking on the right treatments. Not just for now but for the future so that when it comes to guessing your age, people will be taking the years off. Not adding them on. Contact info@thefaceandbodyclinic.co.uk for more information and to arrange a consultation. This entry was posted in Look younger naturally with a non-surgical jowl lift and tagged Look younger naturally with a non-surgical jowl lift on July 29, 2016 by Shenaz Sheriff. Get into shape with the best non surgical treatments central London available. We’ve all got annoying lumps, bumps and sagging skin that stubbornly refuse to go no matter how many times we diet or visit the gym. There is a raft of non surgical treatments central London available, that can get you into great shape. The Face and Body Clinic in Harley Street is at the forefront of these non-surgical therapies. Sculpting the body and reducing unwanted fat deposits. So what are these non-surgical treatments and how do they work? The treatment area targeted by Controlled energy using three or more electrodes. Using sophisticated algorithms that prevent overheating and damage to the skin. Targeted body treatments shrink fat cells in the hypodermis layer and accelerate collagen regeneration. How can a non-surgical treatment like this be effective? Elastic fibres in the skin, collagen and elastin are produced by fibroblasts. As they are heated they contract and collagen strands are pulled closer which immediately tightens the skin. The deep heating effect accelerates fat cell metabolism causing them to shrink. The rise in temperature forces the fat cells to secrete fatty acids (liquid fat), which are then disposed of via the blood and lymph system. And for you that means fat and circumference reduction, younger looking skin and long-term skin re-modelling. Depending on the size of the area being treated – a typical course of this type of non-surgical therapy at a central London clinic by Shenaz would consist of up to 8 sessions each taking between 20 and 40 minutes. If you want to concentrate on wrinkles, fine lines, skin pigmentation and improving blemishes such as acne scars, then contact Shenaz for a consultation about a non-surgical treatment using Trifractional technology. It can effectively re-surface the skin with minimal discomfort and virtually no downtime. Now for a bit of science! Three pulses enable radio frequency energy to penetrate deep into the tissue without over-heating the target tissue. The first pulse makes pinpoint size spots on the epidermis. The next pulse penetrates into the skin heating the tissue. The third penetrates deepest, heating the mid-dermis. The effect is to create micro wounds which then trigger the body’s natural healing response. Helping collagen regeneration and creating healthy skin tissue. Like all non-surgical treatments carried out by Shenaz at her central London clinic, the therapies are painless. Many therapies can work in combination. It is essential that you have an expert consultation from someone like Shenaz Shariff. Shenaz has vast experience in non-surgical treatments and is the central London clinic of choice when it comes to manufacturers show-casing their latest technology. One innovation which will volumise your skin and lift sagging areas of the face without painful invasive surgery is Hybrid energy therapy. Which can work in conjuction with Trifractional technology. This unique technology gives a tailored full-face treatment that will give you a natural look. Even better it allows for on-going rejuvenation so the results are not only long lasting but enhanced over time. Hybrid Energy combines two types of electrical energies which deliver Hot and Electrical Invisible Micro Ablation (IMA) to the skin via a series of micro pins. Firstly Hot IMA penetrates the dermis, then the Electrical IMA creates micro-wounds while at the same time triggering a wound-healing effect. Working in partnership it induces re-modelling of dermal collagen, elastin growth and increased production of Hyaluronic Acid. continues working on your skin even after the sessions have finished. Get a body to make you the envy of your friends without stepping foot in the gym. Are you sick of reality show stars, supermodels and Hollywood celebs who seem to be able to slip into their skinny jeans as soon as they’ve given birth? Or look great in a bikini despite claims they can’t resist chocolate and burgers? Dynashape is a non-surgical treatment which is used exclusively at The Face and Body Clinic in Central London. It doesn’t matter whether you are thin or overweight, cellulite is a fact of life for most post-pubertal women. Over time the skin loses its thickness and this unfortunately enhances the visibility of unsightly cellulite bumps. Expert practitioner Shenaz Shariff says: ‘It can be disheartening when, no matter how much you diet or exercise, stubborn areas of fat just won’t go”. “I hear so many women feel like they just have to accept it and yet it eats into their confidence about how they feel about their body. ‘But at my central London clinic I can offer a non-surgical treatment that, unlike liposuction, is non-invasive’. Dynashape uses ultrasound technology to break down fat and in effect melt it via a series of lenses that can be altered to target different depths. 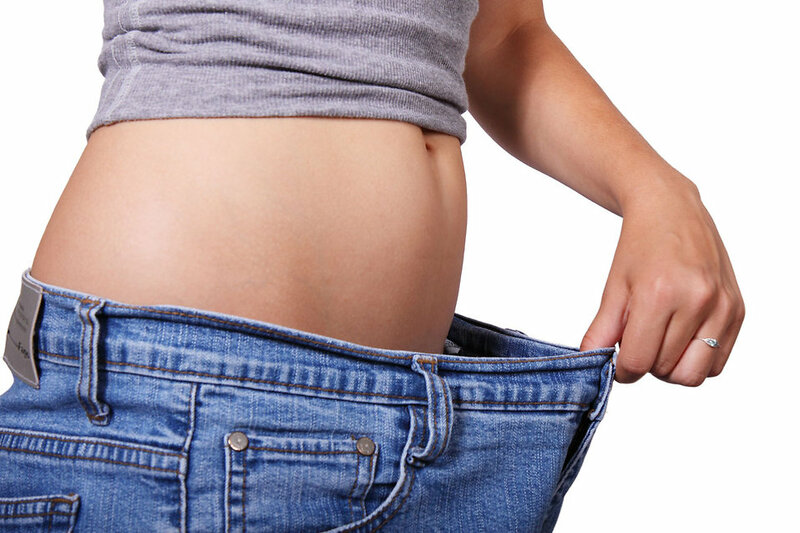 The fat is eliminated, draining away via the body’s lymphatic system and ultimately leading to a slimmer figure. This non-surgical treatment is accompanied by an endodermic massage which activates cell membranes in the tissues. Removing fat cell and helping to drain fluid accumulation. As Sonia, one of Shenaz’s clients admits: ‘I have always been self conscious about my stretchmarks and stubborn fat on my arms to the point that sleeveless tops didn’t feature in my wardrobe at all even in Saharan temperatures. ‘I was sceptical about Dynashape, it seemed to good to be true but I gave it a go and the results were spectacular. I’ve got my self confidence back and am wearing the clothes I’ve always wanted without feeling the need to cover up’. Even better the results are immediate. You will be amazed what a difference just one treatment of Dynashape will make. You can have slimmer thighs, tummies or upper arms. It is pain free just like the other non-surgical treatments at this central London clinic. Results are immediate, however a full course is recommended to get the body you want. Contact Shenaz Shariff for a consultation and make sure you are bikini ready whatever the time of year. The success of this non-surgical treatment was highlighted on Channel 4’s Embarrassing Teenage Bodies. Shenaz was able to successfully help a teenager with a severe case of stretch marks at her central London clinic. The secret of this treatment’s success is a process known as Isophoresis. Which requires electrical waves to be sent through a formula of nutrients – the individual ingredients are tailored to individual requirements. Depending on the results wanted – and pushed painlessly into the skin. These electrical waves stimulate the lymphatic system to encourage the removal of toxins and the nutrients. Which can include vitamins, mineral and herbal concentrates, reverse the physiological effects of cellulite and stretch marks by promoting skin regeneration. 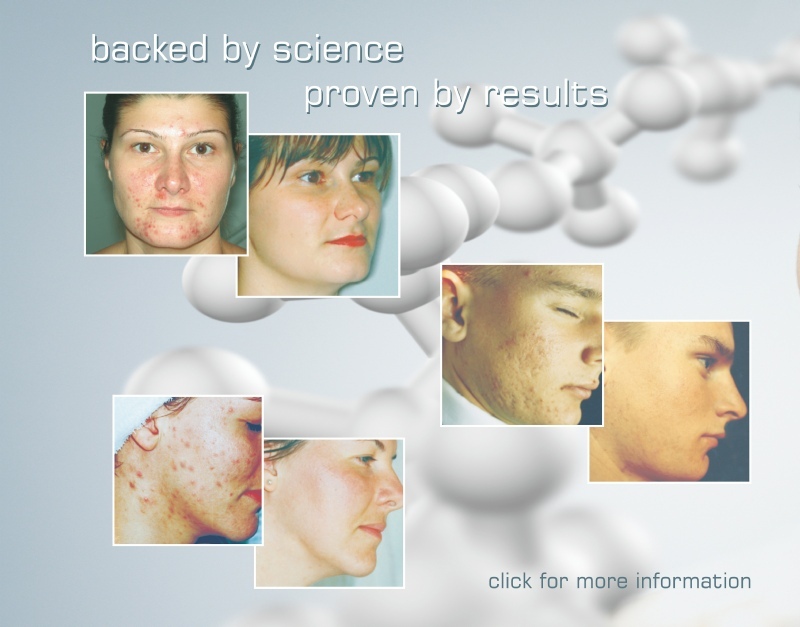 Mesotherapy is widely used in Europe to treat various injuries and medical conditions. Using microinjections of conventional or homeopathic medicines, vitamins and minerals and amino acids. These tiny medicinal bullets are injected directly into the mesoderm ( middle layer of the skin) specific to the condition being treated. The mesolift is a process which injects a combination of minerals and nutrients into the skin to promote production of collagen and elastin and stimulate your metabolism. Skin ages, circulation decreases and the reduction in oxygen hinders your body’s ability to flush out toxins which in turn drives premature ageing and causes the skin to develop an ashen appearance. After the treatment skin looks rested, radiant, glowing and firmer. 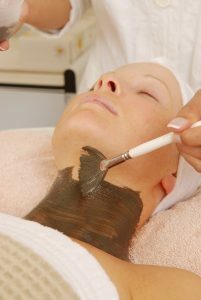 An alternative to botox and topical creams and surgical facelifts. Unwanted hair is never attractive whether on your face or other parts of your body. IPL hair removal is affordable, safe and quick, however you will require a consultation and test patch as unlike most non-surgical treatments it doesn’t work on every hair colour and skin type. Developed 15 years ago. IPL (Intense Pulsed Light) technology targets the pigment in the hair and destroys the hair follicle preventing future hair growth. This non-invasive treatment which is available at the Face and Body Clinic in Central London. Each pulse of light might sting a little bit – like the snap of a rubber band against your skin. The equipment used contains a cooling system that makes it more comfortable. There might be slight redness and swelling after treatment which will last a few hours. Some people feel a slight sunburn type sensation but the discomfort is minimal. Shenaz says the number of treatments can vary depending on the hair growth but at least 10 sessions should lead to complete hair removal. Followed by maintenance follow ups as advised. Studies have shown an average 80 per cent hair loss after 8 treatments. Botox or fillers. Which is the right one for you? Botulinum toxin is a natural, purified protein that is used to temporarily relax facial muscles which cause lines and wrinkles. It’s also used to treat medical conditions such as excessive sweating. Botox is the best known brand and the safest having been certified by the medical and cosmetic industry. Botox is injected into muscles and is used to improve the look of frown lines between the eyebrows, and can also be used around the side of the eyes to improve severe crow’s feet. As with other non-surgical treatments there’s no downtime, furthermore there’s no one rule fits all. Some patients may see slight bruising or swelling depending on their skin. Results should last up to 6 months. When we are born we have a plentiful supply of Hyaluronic Acid (HA) in our body. 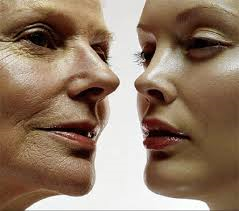 As we age, our stores of it diminish so lines and wrinkles develop. Dermal fillers give a fresher appearance to the face by injecting naturally occurring HA through a tiny needle to targeted areas. It is fast and leaves no scars. Dr Anil Budh Raja is a specialist in anti ageing injectable treatments. And is part of the team that works alongside Shenaz Shariff at the Face and Body Clinic in central London. The procedure takes around 45 minutes and the subtle effects can last for up to 18 months. Dr Raja also offers other non-surgical treatments for dermatological conditions like eczema, psoriasis and mole screening. At the more extreme end of non-surgical treatments is a PDO Threadlift. PDO Threadlift redefines facial contours and can last up to 3 years depending on your lifestyle. Used to treat upper and lower cheeks, foreheads, jawline and neck, local anaesthetic. PDO is injected into the treatment area and then the PDO thread is inserted using a micro needle – into the subcutaneous layer of the skin. When the needle is taken out, the threads remain implanted and activates the skin’s regenerative process. The procedure can take up to an hour. By combining PDO with other non surgical treatments, great results can be achieved. The best candidates are men and women who are starting to see the appearance of wrinkles on the forehead or sagging in the mid and lower face. Or who have loose skin on the neck. Shenaz Shariff offers this non-surgical treatment at her central London clinic. Shenaz says: ‘PDO thread can be used on their own or combined with other treatments such as radiofrequency, fractional laser treatments or fillers to give optimal results to clients’. This entry was posted in non surgical treatments central London and tagged non surgical treatments central London on July 20, 2016 by Shenaz Sheriff. Spots and blemishes are an inevitable blot on our angst ridden teenage years. Balancing the rigorous demands of a career and family is causing an outbreak of adult acne amongst thousands of women. Shenaz Shariff says in the UK 80% of adult acne occurs in women. While clinical studies in America have revealed 54% of females over 25 now suffer some facial acne. Film stars Keira Knightley and Cameron Diaz have had it, so too has fashionista Victoria Beckham. While it’s thought fluctuating hormone levels caused by periods and pregnancy may account for some to suffer. The primary aggravating factor is increasingly becoming chronic stress. The sebaceous glands are tiny glands found near the surface of your skin. The glands are attached to hair follicles, small holes in the skin that individual hairs grow out of. The glands lubricate the hair and skin to stop it drying out by producing sebum. In acne, the glands produce too much sebum. It mixes with dead skin cells to form a plug in the follicle. These can then become infected causing pustules. Shenaz says: ‘When you combine workplace stress with household responsibilities, cosmetics, skin irritants and monthly hormone fluctuations. You have the perfect breeding ground for adult acne’. Shenaz, believes that Oxypeel, a treatment which is applied much like a normal face mask, is the antidote. To giving these woman back a blemish free skin and the confidence to look in the mirror again. It is a peeling treatment. But it isn’t a chemical peel. Instead it works via biological exfoliation. Rather than peeling any skin off with it, Oxypeel works by allowing oxygen into the basal layer of the skin where new cells are generated. It also dislodges damaged skin cells exfoliating the skin while helping control the skin’s sebum productions. The main cause of acne. By removing the film of bacteria on the surface of the skin and imparting oxygen to the base of it. The skin can regenerate. Oxypeel, one of many innovative non-surgical treatments available at Shenaz’s central London clinic, was developed by medical scientist Sujata Jolly. Who specialised in dermatology and has been at the cutting edge of developments in UK skincare for 30 years. Sujata is well known for her expertise in skin disorders and works closely with her practitioners. To ensure they can provide the best possible treatment for their clients placing great emphasis on assuring their efficacy and simplicity. Shenaz treats many celebrity and high profile clients for whom the way they look is paramount, but believes the highly effective non-surgical treatments she uses at her central London clinic can help thousands of men and women who may suffer from acne, pigmentation discolouring, scarring and even sun damage. ‘Better still there are no side effects just healthy looking skin’. For best results, Shenaz recommends clients have an Oxypeel treatment once a week for six weeks with a break of two weeks after which the skin is re-assessed to see if any further therapy is required. ‘The results of Oxypeel build up over the course but some improvements are noticeable immediately. A lot depends on the skin itself as everyone is different and some people may be more responsive immediately, for others it will take a little more time, but generally we have found six treatments offer great results,’says Shenaz. Ruby Hammer who had the treatment is a huge advocate of Oxypeel. ‘Shenaz Shariff is incredible. The results were immediate and I thoroughly recommend a course of treatment to anyone’. ‘I recommend that my clients only use Oxypeel foaming Milk which is a cleanser and exfoliator during the treatment process and should be used as part of their daily skin care routine,’ says Shenaz. It accelerates cell removal by loosening the bonds that hold dead cells to the skin’s surface, and stimulates cell regeneration. Regular use of Foaming Milk increases production ofelastin and collagen leading to fresher and healthier looking skin. Foaming Milk is effective but gentle for use on the entire face, including the gentle eye area and on the neck and décolleté. It contains Agua, Synthetic Surfactant, Hydrolysed Protein, Allantoin, Aloe Vera, Vitamin A, Vitamin E, Propylene Glycol, Nipastat. Shenaz also asks that her clients use Zap It topical acne cream during the treatment course. It helps control spots, prevent scarring and hyper-pigmentation and doesn’t damage or cause sensitivity to the skin. It works by dissolving the keratin plug that blocks the pilosebaceous duct. Antibacterial agents destroy micro-organisms in the sebaceous glands and the released oxygen encourages healing and reduces inflammation. Or to make it less scientific, Zap-it works by oxygenating, healing and nourishing the skin as spots vanish! Key ingredients are Aqua, Alkyl-dimethyl-benzyl ammonium chloride, Bromelin, Lysine, Cocoamphodiacetate, P- hydroxybezoic acid esters. Can you prove it works? ‘Have a look at the before and after photographs and the effectiveness of Oxypeel, one of the many non-surgical treatments offered at our Central London clinic, speak for themselves,’ says Shenaz. ‘I treat both men and women and the treatment is also effective in teenagers who may have problem skin and who understandably shy away from prescription drugs to try and combat the skin issues they are having. ‘Oxypeel is an incredibly safe and effective treatment and I have lost count of the number of clients who leave the Face and Body Clinic feeling happier and more positive about how they look’. To find out more about Oxypeel and what else the Face and Body Clinic can offer to make you look and feel better, make an appointment for a consultation now. This entry was posted in Oxypeel the answer to fighting the effects of daily stress on July 12, 2016 by Shenaz Sheriff. What are the main causes of ageing and what new anti ageing treatments london has to offer? A combination of factors induce the ageing processes of skin – these include changes in hormone levels, particularly oestrogen, as well as a decline in metabolic activity and cell regeneration. UV exposure, smoking, pollution, stress, bad dietary habits, lack of sleep etc. Photo dynamic therapy is one of the new anti ageing treatments london utilized to turn back the clock. Unlike invasive surgical procedures or aggressive chemical based anti ageing treatments, PDT uses low level light emitting diodes to stimulate the collagen production of the skin resulting in a more youthful and revitalized face. The Light applicator is placed over the face for 20 mins. This not only stimulates the collagen production of the skin but also dilates the blood vessels thereby increasing blood circulation and bringing more oxygen to the surface of the skin resulting in a vibrant, youthful glow. It takes between 6 and 8 treatments to see a sustainable result with this new anti ageing treatment and the procedures is very relaxing and painfree. No aftercare is required and the treatment works on all skin types. Tripollar technology, another new anti ageing treatments london painlessly delivers focused Radio Frequency energy to the skin. This energy is delivered in 3 (or more) electrodes being massaged over the treatment area. Radio frequency energy uses the tissue’s resistance within the various layers of the skin to transform the RF energy given to the skin into thermal energy causing the skin to heat up, thus causing a contraction of collagen fibres and leading to an immediate tightening effect. Simultaneously, an acceleration of the metabolism of the fibroblasts regenerates collagen, resulting in long term skin tightening without surgery or down time. Results are visible after the first treatment but generally 6 – 8 treatments are recommended at weekly intervals. The latest new anti aging treatment London has to offer is called VoluDerm. This hybrid energy technology is a breakthrough concept that combines 2 electrical energies to create a dual effect in both the epidermis and dermis to deliver dermal volumizing with virtually no pain or downtime while sustaining viable and receptive cells to receive skin rejuvenating nutrients following treatment. Threadlifts are a new anti ageing treatments london. A minimally invasive procedure using dissolvable PDO threads which are broken down naturally by the body over a period of time. The threads are inserted into the face via very fine needles and the practitioner will create a corset like structure underneath the skin. A lifted appearance can be seen immediately after treatment and the results will improve in the following weeks as the PDO stimulates collagen production. The overall texture of the skin improves becoming tighter and firmer while fine lines and wrinkles are smoothed away. The effect of the treatment can last between 12 and 18 months. There is a little downtime as swelling and bruising can occur but it varies from patient to patient. These are the most popular new anti ageing treatments in London and all over the world. These are used on the face to combat lines on the forehead, around the eyes, as well as adding volume to the cheeks, naso labial lines and around the mouth. Advanced injection techniques can reduce the frequency of maintenance treatments as well as reduce the amount of product required in touch ups. 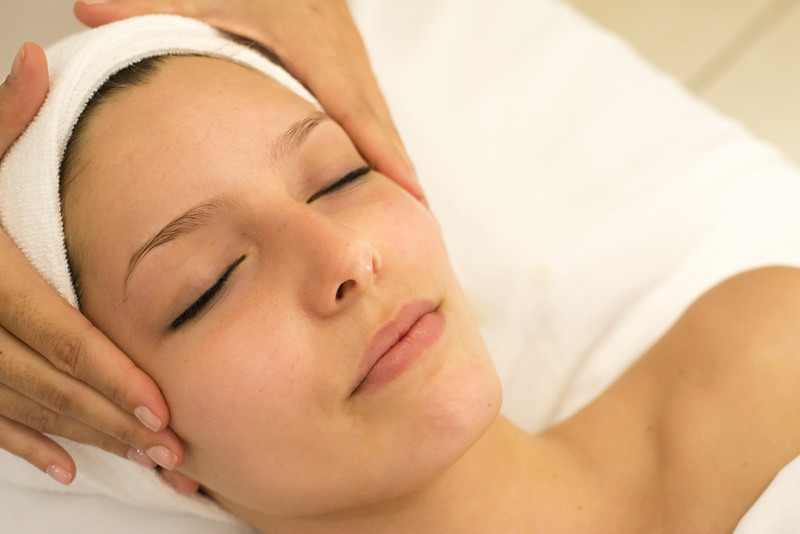 Also known as THE VAMPIRE FACIAL involves injecting the patients own platelets for the treatments of wrinkles. It is less invasive than surgery, takes about 20 mins treatment time and results can last upto 12 months. Platelets contain substances called growth factors that activate and rejuvenate the cells in our body. This cutting edge rejuvenation is a quick procedure and can be combined with dermal fillers for optimal results. It is a relatively painless treatment and requires no after care or down time. There may be mild swelling or redness or bruising which fades quite quickly. This entry was posted in ANTI AGEING TREATMENTS and tagged new anti ageing treatments london on July 4, 2016 by admin.